The Ford F-150 is the most popular pickup truck in America, but some owners aren’t satisfied with the factory exhaust note. For owners looking to upgrade the exhaust system on their 2015-2019 Ford F-150, there are many options available in the aftermarket. 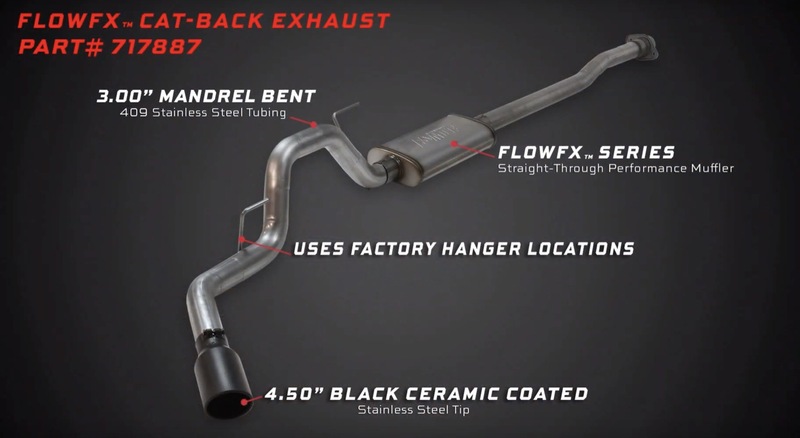 Flowmaster recently released a video that shows off their FlowFX cat-back exhaust system for the 2015-2019 Ford F-150. The exhaust (part No. 717887) is able to be fitted to the Ford F-150 no matter which engine is under the hood. Flowmaster allows owners to upgrade their sound for the 2.7-liter V6, 3.5-liter Ecoboost V6, 3.5L Ti-VCT V6, and the 5.0-liter V8 – all with the same cat-back. The video only shows off the exhaust for the 3.5-liter EcoBoost V6 and 5.0-liter V8, but it’s nice to know that the exhaust can be fitted to any F-150 made between 2015 and 2019. The exhaust is a high-quality product made from 3-inch 409 stainless steel tubing, and retains the factory hanger locations for easy installation. The Flow FX exhaust is a single exit unit with a 4.5-inch black ceramic coated tip out back. You can listen to Flowmaster’s Flow FX exhaust for the 2015-2019 Ford F-150 in the video above. The company provides sound clips taken from both inside the cabin and out of it as well. Interestingly, the exhaust is currently on sale for $459.95 compared to the standard price of $510.54. Subscribe to Ford Authority for the latest F-Series news and around-the-clock Ford news coverage.